icollet Avenue is the “Main Street” of downtown Minneapolis. The major street in Minneapolis, Minnesota and three of its suburbs passes through a number of locally well-known neighborhoods and districts, notably Eat Street in south Minneapolis and the traffic-restricted Nicollet Mall in the city's downtown. 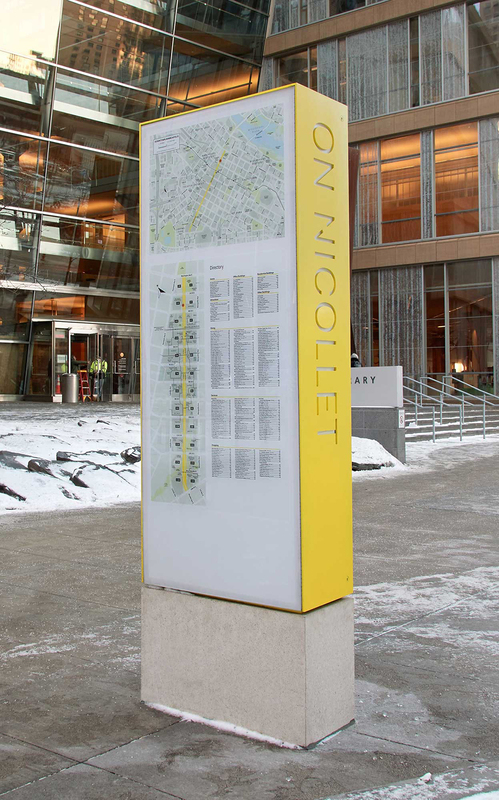 Nicollet Avenue was named for early 19th-century French explorer and cartographer Joseph Nicollet, who led three expeditions in what is now Minnesota and is regarded one of the most iconic spots in the city. After undergoing a major renovation the cultural and commercial center and shopping and dining district which attracts people to work, shop and eat year round is more pedestrian friendly. 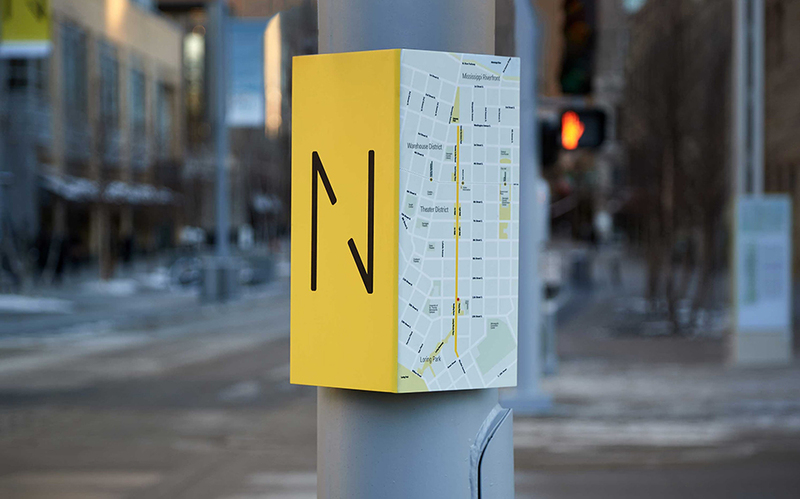 As part of the revitalization Pentagram’s Paula Scher worked closely with James Corner, Field Operations, the renovation architects, the Mpls Downtown Improvement District and the City of Minneapolis to reinvent Nicollet with a brand identity and comprehensive program of signage, wayfinding and environmental graphics that capture the spirit of the street and its place in Minneapolis. The area is known as Nicollet Mall, but the city wanted to move away from “mall” because it is too limiting and implies the street is a shopping mall. While there are stores and restaurants on Nicollet, it is much bigger than the sum of its parts, a vital thoroughfare and integral part of the city that helps define the character of downtown and offers many visitors their first impression of Minneapolis. The brand messaging captures all this in a simple tagline, “On Nicollet,” that highlights the avenue as a destination. 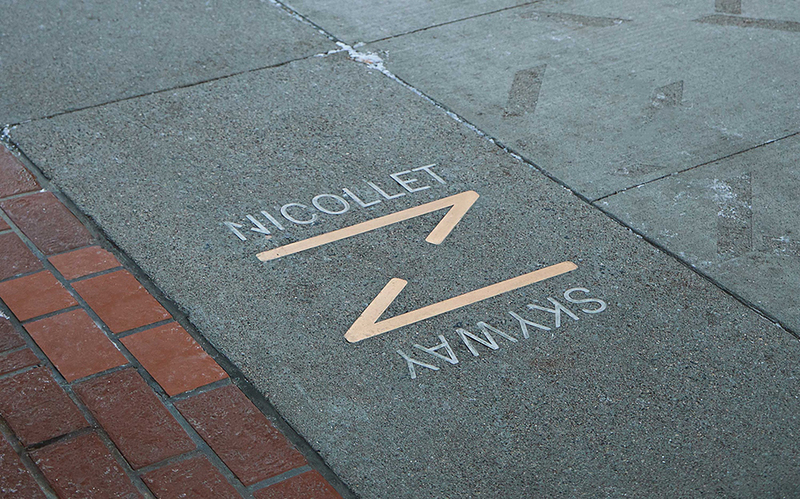 The identity centers on a letter “N” built from two sides of a directional arrow, one going up and one going down, conveying the movement of traffic and arterial role of Nicollet. 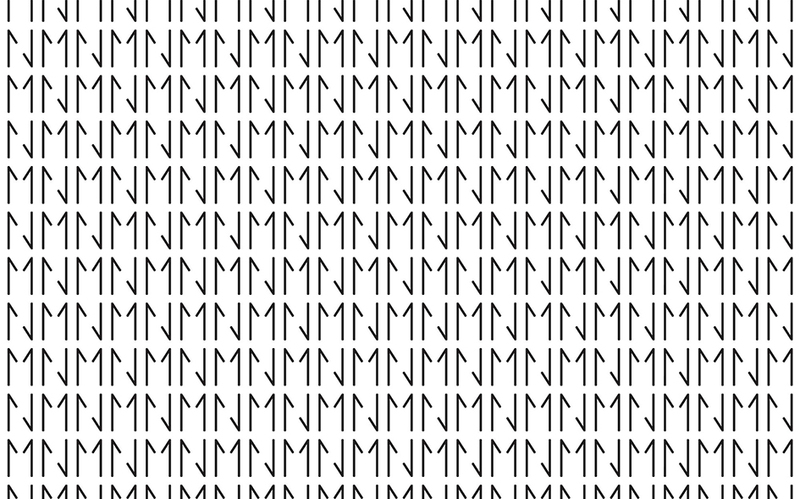 The arrow forms can also be used to construct a letter “M,” for the “MN” Minnesota state abbreviation, or “NM” for Nicollet Mall. Typography is set in the highly legible sans serif Fakt, and the traffic-oriented color palette features a bright, eye-catching yellow, along with black and white reports Pentagram. 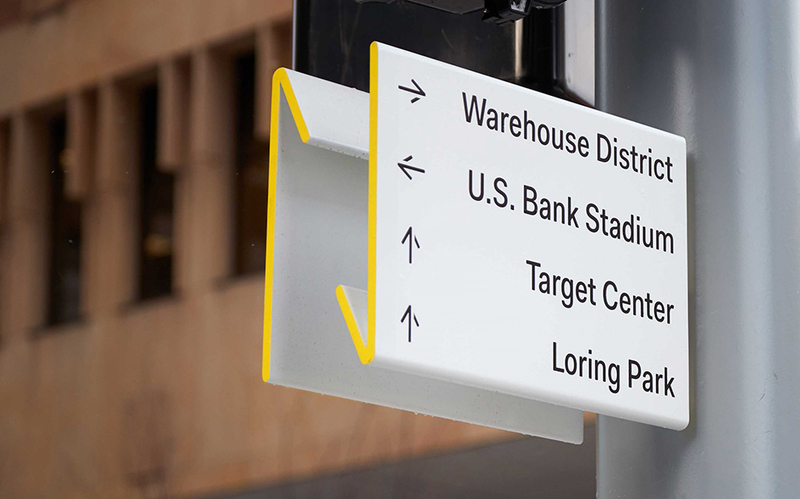 “The directional elements of the Nicollet branding extend to a comprehensive program of signage and environmental graphics for the street, including directories, kiosks, banners and street signs. 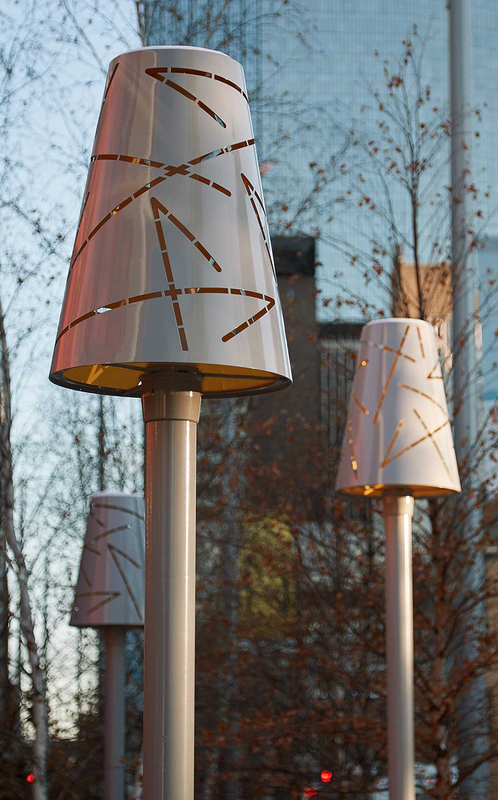 The fold of the logo provides the form for dimensional signage affixed to poles and street lights. 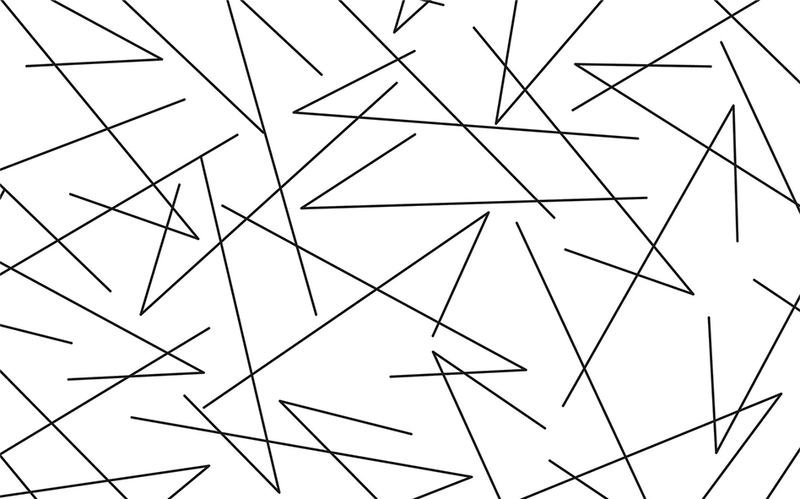 Other wayfinding is inset in the pavement, where the arrows provide direction, and they can also be used as a graphic pattern, as seen on heat lamps along the avenue” notes the world's largest independent design consultancy.